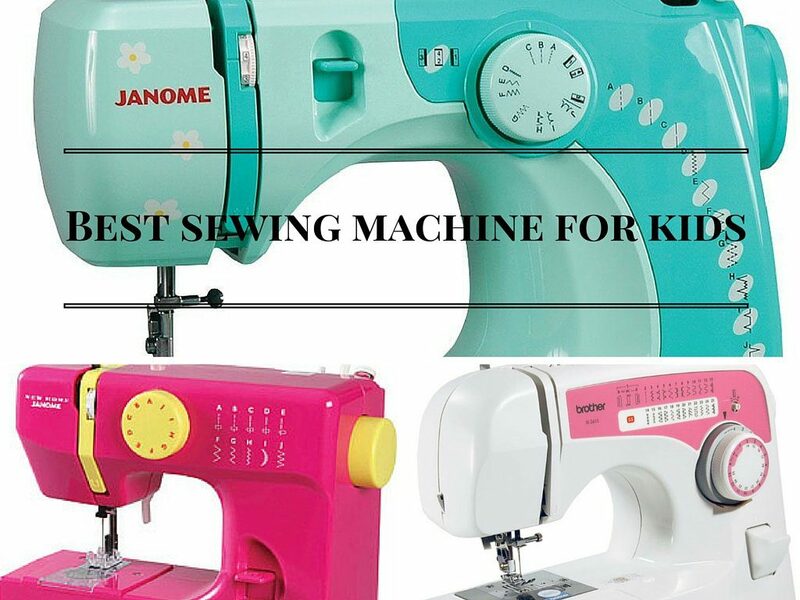 Best Sewing Machines For Kids - We Review 5 Kid Approved Favorites! The art of sewing is quickly becoming lost. Kids are turning on their smartphones and have no interest in sewing. But the best sewing machine for kids encourages them to start sewing. 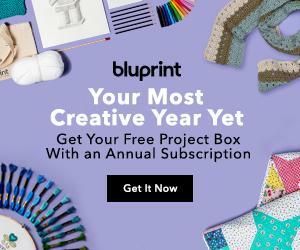 These machines, many of them designed specifically for kids, offer just the right number of features to handle most projects without the bloat that makes sewing complex. Kids that start sewing at a young are opened up to a world of creativity. Cute hats, scarves, shirts and everything in between can be made exactly to their liking. This is obviously a huge thrill to most children. Being able to express themselves while creating their own crafts is something most children will be thrilled with. Once they have mastered hand stitching, they will likely want to get their hands on your sewing machine. You may not want this as your machine may be expensive or not very kid-friendly. We hope this article will help you make the right choice. While each machine basically does the same thing, this doesn’t mean every model is a suitable sewing machine for a child. Below you will find a quick reference of the sewing machines discussed in this article. Each sewing machine is perfectly suitable for a child to learn and grow their skills. They all have the basic features they will need in their journey. What Features Do You Need For a Child? Kids need a simple machine that is easy to use and reliable without compromising safety. If you gave a child a computerized sewing machine, you’ll probably find that these models are simply too complex and overwhelming for the average child to learn. You want a machine that allows a child to easily develop their skills without overwhelming them. Feet: The feet of a sewing machine will either snap on or attach with a screw. For kids, you want feet that attach with a screw so that the feet stay in place. Many kids have sewn through their own clothing or fingers because of snap off feet. Pedal: Some children, especially younger sewers, will have a difficult time using a standard pedal. If this is an issue for your child, I highly recommend using a push-button model that provides a consistent stitch speed. Speed: When using a push-button model, you’ll want a machine that has a consistent speed. This will allow for garments to be made with precision and won’t take away from the control that is lost when not using a pedal. Weight: Depending on the child’s age and size, the weight of the machine is a major consideration. Dropping a 15 pound machine on his or her foot will cause far more damage than dropping a 5 pound machine. Warranty: Kids have a way of breaking even the most durable equipment. Safeguarding your investment with a warranty is a wise choice. In terms of price, you’ll spend $70 – $150+ on a good quality starter machine for a child. The main difference between less expensive and the higher-priced models is that the most expensive models offer a higher level of durability and often include more built-in stitches – many which your child will never use. Some also provide a higher level of automation. The art of sewing is starting to become lost with younger generations. Kids that know how to sew are learning a life skill that will allow them the creative freedom to sew their own clothes or even make an outfit for their favorite pet if they see fit. How young can a child start? I have seen children start at the age of 3. While they may not be the world’s best seamstress at this point, they will start developing basic skills, exploring their creative side and gaining confidence. Once they gain some experience they can advance to difficult patterns quickly. There are also a lot of great sewing books for beginners that start slow and build their skills quickly and are a lot of fun. Kids that learn to sew at a young age will have a greater respect for the art and will understand the safety measures needed. I have found that kids that start earlier in life learn to protect their fingers from the presser foot and have an overall higher level of safety than a kid that started at an old age. Also, the earlier a person starts, the more time they will have to enhance their skills and gain confidence. Which Machines Do We Recommend for Kids? If you want a powerful sewing machine that’s also great for kids, it’s going to be the Singer Simple 3232. This model is feature-rich, yet it’s one of the best sewing machines for beginners. I don’t know that I would recommend this model to kids as young as 5, but I can definitely see teens using it. An ideal choice for entry-level sewing, this model comes with a 25-year warranty and more than enough features for teens to master sewing on the 3232. The model has a built-in needle threader to eliminate the need to painstakingly thread a needle. You’ll also have a dust cover included and a variety of presser feet are included. A quilting guide, caps, bobbins, spools and other accessories are included, too. For a new beginner, and early teens onward, the Simple 3232 is a great choice for a sewing machine. Durable and offering just the right number of features, the Janome 15312 has the potential to grow with kids as they learn more about sewing. Cute in design, the 15 stitches offer all of the essentials needed to make high-quality clothes. Stitch length can be adjusted, and you can even make buttonholes in just four easy steps. The Janome 15312 doesn’t come with a cover, so the interior of the sewing machine can attract dust and debris. Aside from this small complaint, the cute Hello Kitty design and stitch options will provide years of use. This model works perfectly for the mature kid who wants to learn how to sew. It is also suitable for adults for advanced projects thanks to the variety of stitch options available. Easy to use with advanced features that are a necessity for complex patterns, this is the perfect model for kids or beginners no matter what age. NEX offers a sewing machine for children that comes with an adorable, kid-friendly look. White and pink features are seen in the sewing machine’s design, and it’s lightweight construction makes this the ideal choice in portability. NEX’s portable design includes a carry handle, and small dimensions of 10.6″ x 4.7″ x 9.” With a weight of just six pounds, this machine is user-friendly – even for kids. The right choice for DIY sewing, this small, sleek sewing machine can do it all with hems, button-holing and other advanced sewing made simple with the FHSM-505. Thickness can go as high as 2.5mm, allowing the user to quickly sew through six layers of denim with ease. Stitch length is adjustable, and there’s a flat-bed that allows for maximum adjustability when sewing. Kids and tweens will find this sewing machine to be robust yet intuitive. You’ll love this machine’s low noise production and easy-carry handle that allows for the utmost in portability. Perfect for kids and tweens, this model is even ideal for the on-the-go seamstress who must make quick adjustments to garments. I am very happy with this model, and my niece loves the look and ease-of-use, too. When teaching a child how to sew for the first time, a minimalistic sewing machine that’s lightweight is a great option. Small, sleek and affordable, the Singer 1304 is a neutral-color sewing machine featuring a white design with blue accents. This is the perfect for tweens, or boys who might not appreciate the pink in some of the other sewing machines. Singer’s 1304 isn’t as lightweight as some of the other models on our list (weighing 12.7 pounds), but it’s still a great option for your standard seamstress. This model has dimensions of 13″ x 7″ x 11.5″. Easy threading is offered, with diagrams printed on the right side of the machine. Setup is made simple, and users can quickly adjust between six different stitches along with a 4-step buttonhole that allows you to add buttons to any garment with ease. Twin needle sewing is provided thanks to the dual spoon pins that make this machine perfect for hemming or decorations. Kids and adults will love the free owner’s class that’s provided to help you learn how to properly thread and set the machine up. You’ll also find that this model has a heavy-duty frame and three presser feet, which make it easy to get started. Preset stitch lengths and widths are provided. I like the lack of length and width adjustments because it allows kids to get started sewing quickly without needing to worry about adjusting different settings. The tension is also automatically adjusted for you so that you never have to worry about thread breaking. I highly recommend this sewing machine for younger kids who want to get a feel for sewing and don’t need to be overburdened with a slew of different features. There’s even a free arm for more advanced sewing needs. The CS6000i is the right sewing machine for teens and adults. What’s great about this machine is that it can be used for quilting, and there are 20 decorative stitches for non-clothing projects, too. A built-in free arm allows for more complex projects, such as sewing cuffs and sleeves. Speeds are controlled with the push of a dial, which is perfect for kids that often have difficulty properly controlling foot control speeds. With easy threading and an automatic needle threader, kids and adults will be able to start their next sewing project much faster with the CS6000i sewing machine. The CS6000i requires a lot of cleaning, and with the small nooks and crannies, it can be difficult to clean the unit thoroughly. Aside from this one minor complaint, the CS6000i is a sewing machine that can handle kid and adult projects with ease. It also has advanced features to allow intermediate sewers to enhance their skills. The iBesi Mini is a portable sewing machine that is specifically designed for kids. Compact in size, this model helps improve a child’s imagination and offers hands-on sewing skills kids won’t learn anywhere else. iBesi recommends reading the instruction manual before use. Designed to be a sewing machine for a child, you’ll enjoy high-quality sewing for projects of all types, including jeans. Low speeds are also offered to help kids as young as five years old sew their next project. A foot control and a push button control are offered. These double controls allow kids to sew with either their foot or hand. The iBesi is designed for kids, and there are a lot of buyers that expect to purchase this low-priced model and have a professional machine. You’ll be disappointed if this is your intent. The iBesi is meant to help kids learn how to sew with key features and ease-of-use. And when it comes to kids, this is one of the best sewing machine options on the market. Meditool’s model allows you to plug the unit into an electrical outlet, or you have the option to also power the unit with batteries. This is a truly, portable sewing machine that includes the 12 most popular stitches to handle most sewing projects. Low and high speeds are ideal for kids. Slower speeds are the right option for kids under 10 because it forces the kids to control their fabric. Thread tension and stitch length can also be adjusted, so as a seamstress progresses to more difficult sewing projects, they’ll be able to confidently use the Meditool. A small complaint that some users have is that the unit needs to be rethreaded when you shut it off and turn it back on. But it’s a random complaint that a lot of users never mention. Aside from this, the Meditool offers a great kid-friendly sewing machine that is durable and provides just the right number of features for kids and adults alike. All five of these models are a great option when looking for a suitable machine for kids. The main difference you’ll find is that the NEX and Janome Mini are more affordable than the other machines listed, but you will sacrifice advanced features that may be needed as your child gains more experience. However, they are still great little machines for your child to start with and won’t cost you an arm and a leg. If your child is a bit older then the Janome Hello Kitty, Brother XL2701 or Singer 1304 may be more desirable. We are glad you are interested in getting your child into sewing. It is a life skill that allows every kid to have endless hours of fun away from the television. Hi I’m in the process of opening a sewing school for kids and looking to purchase a few machines, do you sell wholesale? or give a tread discount? Sorry, but we don’t have a storefront. We are an informational resource only. I would contact your local dealer to see if they would offer a volume discount. Good luck! Thanks for bringing that to our attention. We updated the list of machines a few week ago, but forgot to update the conclusion. These machines are really for learning how to sew. You could create some simple quilts with them and if that is what you are looking for then one of the bigger machines like the Brother or Hello Kitty machines would be the way to go. Hi. I’m looking for a machine for my 6 year old and definitely want to make certain that the feet are attached/screwed in and that it’s a push-button model with a consistent stitch speed. Which machine would you recommend for this? Many thanks!